11. וְהוּא כְּמוֹ שֶׁלְּמַעְלָה עוֹמֵד לְמַטָּה, שֶׁכָּתוּב (תהלים קלג) כַּשֶּׁמֶן הַטּוֹב עַל הָרֹאשׁ יֹרֵד עַל הַזָּקָן זְקַן אַהֲרֹן שֶׁיֹּרֵד עַל פִּי מִדּוֹתָיו. הַפָּסוּק הַזֶּה בֵּאַרְנוּ. אֲבָל כַּשֶּׁמֶן הַטּוֹב עַל הָרֹאשׁ, זֶהוּ שֶׁמֶן מִשְׁחַת קֹדֶשׁ הָעֶלְיוֹן, שֶׁשּׁוֹפֵעַ וְיוֹצֵא מִמְּקוֹם הַנָּהָר הֶעָמֹק שֶׁל הַכֹּל. דָּבָר אַחֵר, שֶׁשּׁוֹפֵעַ וְיוֹצֵא מֵרֹאשׁ שֶׁל כָּל הָרָאשִׁים, הַנִּסְתָּר שֶׁל כָּל הַנִּסְתָּרִים. עַל הָרֹאשׁ, וַדַּאי עַל הָרֹאשׁ, רֹאשׁוֹ שֶׁל אָדָם הָרִאשׁוֹן. 12. יֹרֵד עַל הַזָּקָן – זֶה הַזָּקָן הַנִּכְבָּד, כְּמוֹ שֶׁבֵּאֲרוּהָ. זְקַן אַהֲרֹן – זֶה הַכֹּהֵן הַגָּדוֹל שֶׁלְּמַעְלָה, וַהֲרֵי פֵּרְשׁוּהָ. וְאוֹתוֹ שֶׁמֶן יֹרֵד עַל פִּי מִדּוֹתָיו, שֶׁמֵּאוֹתָן הַמִּדּוֹת שׁוֹפֵעַ וְיוֹצֵא וְיוֹרֵד לַתַּחְתּוֹנִים. וּכְמוֹ זֶה שׁוֹפֵעַ וּמִתְעַטֵּר הַכֹּהֵן הַתַּחְתּוֹן בְּשֶׁמֶן מִשְׁחָה לְמַטָּה. 13. הַפָּסוּק הַזֶּה אֵין רֹאשׁוֹ סוֹפוֹ, וְאֵין סוֹפוֹ רֹאשׁוֹ. כָּתוּב אֱמֹר אֶל הַכֹּהֲנִים בְּנֵי אַהֲרֹן וְאָמַרְתָּ אֲלֵהֶם לְנֶפֶשׁ לֹא יִטַּמָּא. לֹא יִטַּמְּאוּ הָיָה צָרִיךְ לִהְיוֹת! מַה זֶּה לֹא יִטַּמָּא? אֶלָּא עַל אוֹתוֹ הַכֹּהֵן הָעֶלְיוֹן מִכֻּלָּם הוּא אָמַר. אָמַר רַבִּי יְהוּדָה, וַהֲרֵי כָּתוּב וְהַכֹּהֵן הַגָּדוֹל מֵאֶחָיו? אֶלָּא וַדַּאי כָּךְ הוּא, כְּמוֹ שֶׁנֶּאֱמַר. וְאָמַר רַבִּי יִצְחָק, הַכֹּהֵן שֶׁעוֹמֵד לְמַטָּה, כְּמוֹ שֶׁלְּמַעְלָה, בִּקְדֻשָּׁה הוּא צָרִיךְ לְהִמָּצֵא יוֹתֵר מֵהַכֹּל, כְּמוֹ שֶׁנִּתְבָּאֵר. The Israelites’ bodies attract more negative forces than others because the Israelite soul comes from a higher source. When an Israelite soul leaves the body it still has light that draws the impure forces. The vessels of the priests are on the highest level possible because they are channels for a higher light. The Torah gives a long list of instructions and guides on how to disconnect from impurities. On the night the Israelites left Egypt (The night of the Seder) there was a great revelation of the Light of Zeir Anpin. It was the force that broke the last hold of the negative side over Egypt. This light disappeared and the process of growth began on the spiritual level for the receiving of the Torah 50 days later. 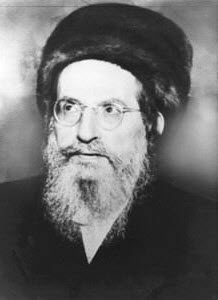 We are told to count seven weeks and on the fiftieth day we receive the Torah that is the aspect of Zeir Anpin. The purpose of the counting is to build our vessels in purity so we can be ready for the great Light of the Torah on Shavuot. The word for counting is exactly the same as for Sefira. The six Sefirot of Chessed through Yessod are vessels that channel light. Malchut is a vessel with a freedom to choose if to channel Light or not. When we do the counting we add another layer to our personal vessels and make a connection to the Sefira of the day. On the first week we build the vessel of Chessed by counting Chessed of Chessed, Gevurah of Chessed and so on until we reach Malchut of Chessed. Then we go up to the next level/Sefira and count Chessed of Gevurah, Gevurah of Gevurah and so on until the end of the seventh week. During this period and because our vessels are in a growing process, we avoid initiating new ventures and purchases unless it is part of our routine life or work. We give more charity to exercise our vessels as channels and not as closed and limited vessels. In addition to protection from negativity and building our vessels the portion of Emor describes all the holidays. It gives us connection to yearly events that reveal light in our vessels. The word ‘These’, ‘אלה’ has the numerical value of 36, which implies to the ‘concealed light’, ‘Ohr Haganuz’ that we discussed in DZ 1500. The Torah reveals that the holidays give us connection to that higher light. 36 is also the sum of all positive numbers from 1 to 8 that gives us connection to Binah.